Brian Radam, on the left, won this year's Charlie Jones Award for the member who has contributed to the aims of the club over the years. Brian is shown with his brand new replica of an original Budding mower from the 1830s. 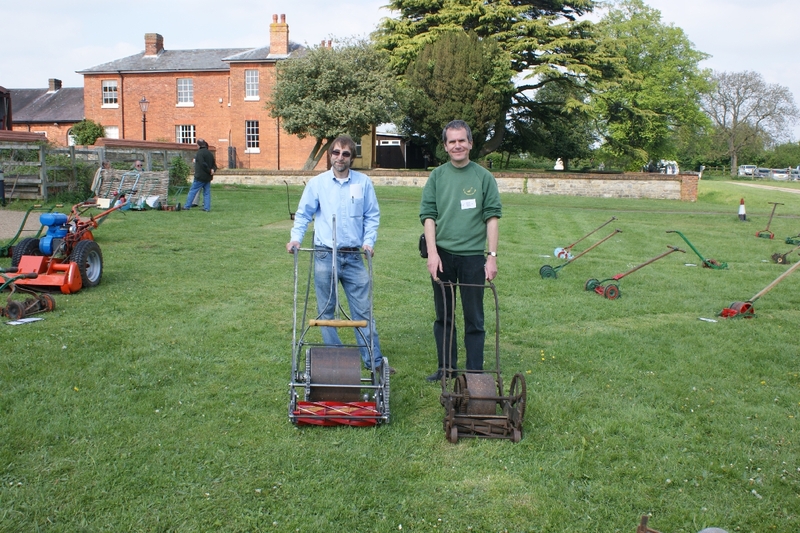 Keith Wootton, on the right, is shown with a Ferrabee Improved mower which probably dates from the 1850s. This machine won the annual Andrew Grout Plate for the machine the members would most like to take home.